33% of all reportable major injuries are due to slips and trips. 20% of "over 3 day" injuries to employees are due to slips and trips. 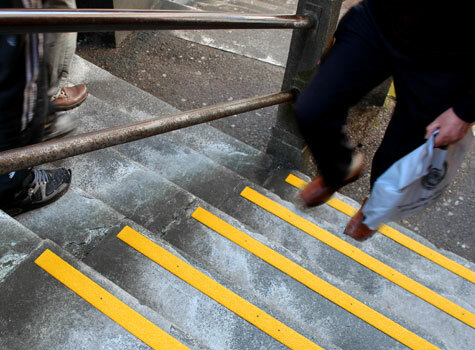 50% of all reported accidents to members of the public are due to slips and trips. 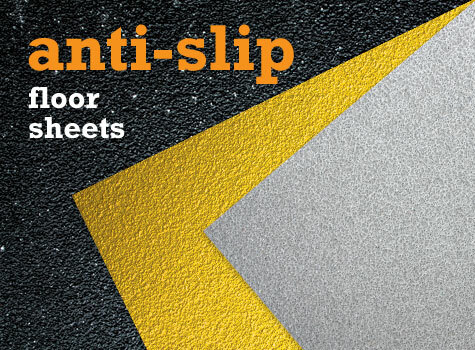 Sui Generis Safe Tread anti-slip flooring products are designed to be a quick and cost effective solution to improving safety in potential slip hazard areas. Safe Tread flooring products have an anti-slip surface ensuring outstanding slip resistance even in wet and oily conditions. 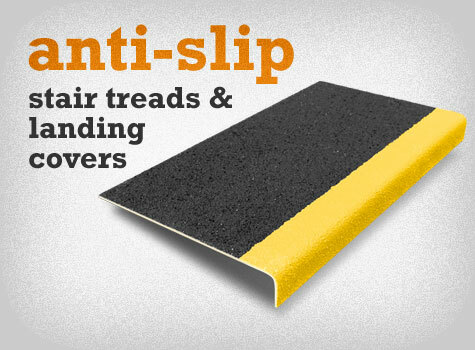 They have consistently reduced slips and falls in industrial, commercial and public use. 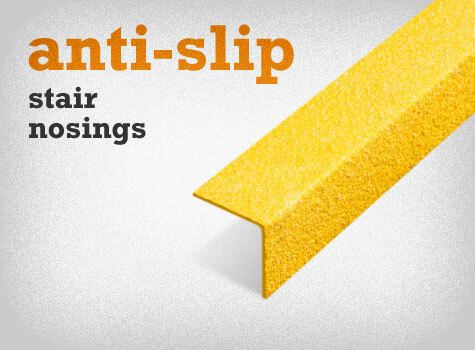 All our anti-slip products incorporate a quartz gritted surface. This has good thermal shock resistance, corrosion resistance and stiffness making it the perfect product when wear and corrosion resistance are primary performance requirements. Our anti-slip products are manufactured with high quality fibreglass impregnated with isophthalic polyester or vinyl ester resins ensuring they are suitable for use in the harshest of chemical environments. Sui Generis Safe Tread products comprehensively fulfil the requirements specified in the UK Building Regulations Act and the final stage of the Disability Discrimination Act. 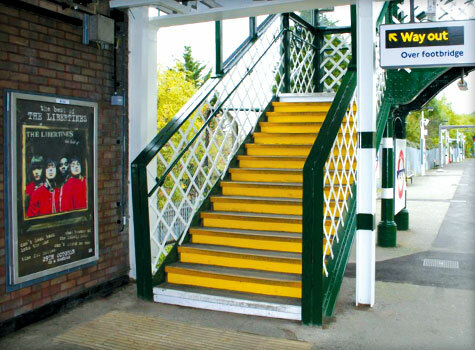 Designed to cover your existing stairs, Safe Tread non-slip GRP Stair Treads are a quick and cost effective solution to improving safety. 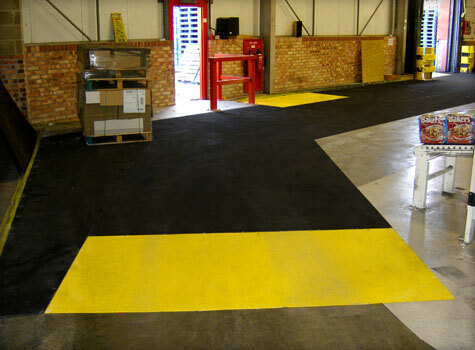 Manufactured with a contrasting yellow nosing for high visibility. 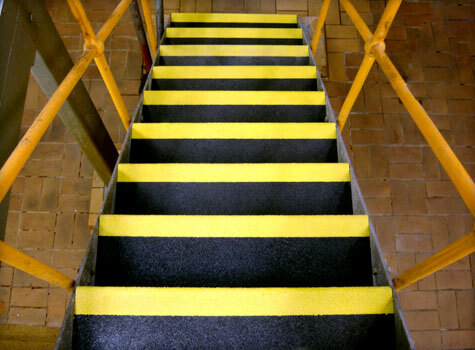 Safe Tread GRP Stair Treads with extra depth for stair landing areas. 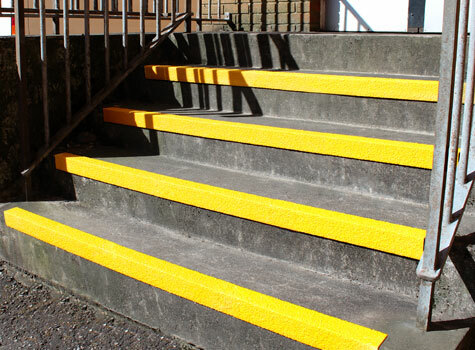 Safe Tread non-slip GRP Stair Landing Covers are a quick and cost effective solution to improving safety. 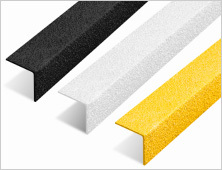 Safe Tread GRP Riser Plates clad the front of your step surface, improving appearance. 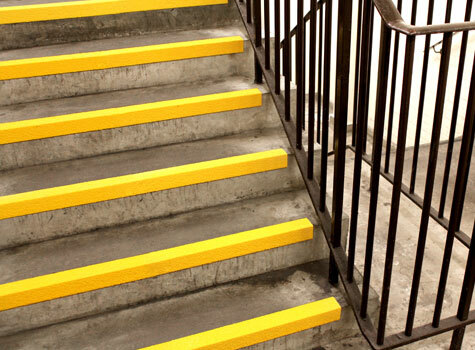 Conceal existing worn or untidy step surfaces, scruffy concrete, and prevent objects falling through open areas of steel or timber stair-cases. 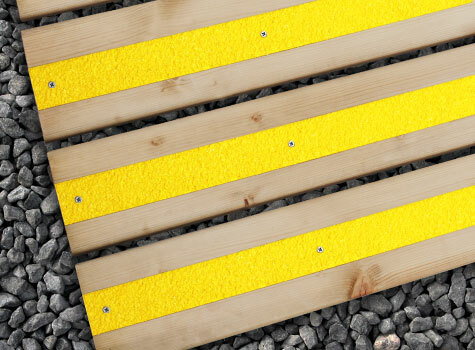 Designed to fit to the front of the step, Safe Tread anti-slip Stair Nosings are a quick and cost effective solution to improving safety in potential slip hazard areas and help towards achieving Disability Discrimination Act compliance. 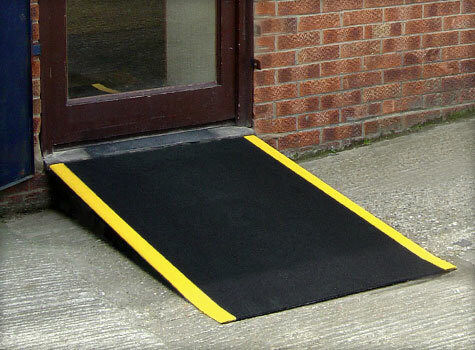 Designed to be fitted to floors, walkways, disabled access ramps, bridges, landing areas, platforms, piers and pontoons. 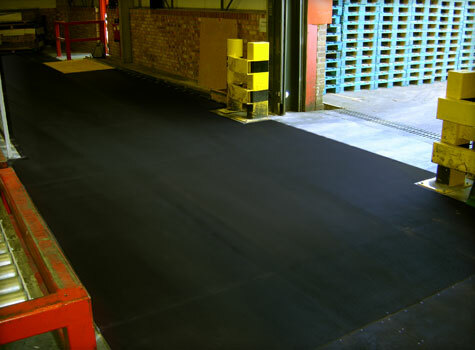 Safe Tread non-slip GRP flat sheets are a quick and cost effective solution to improving safety in potential slip hazard areas. 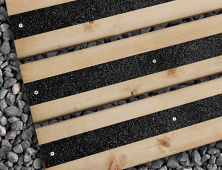 Fit to the top of the decking or step surface, with a gritted surface giving excellent traction, Safe Tread non-slip GRP Decking Strips are a quick and easy solution to improving safety on slippery timber decking and steps. 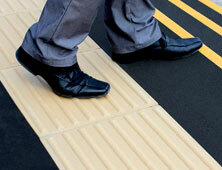 Tactiles are paving plates with raised surface profiles designed to be detectable by visually impaired pedestrians. Made from hard wearing, durable GRP with a gritted surface giving excellent slip resistancy. Anti-slip test results - how we accurately assess our stair and floor products. Anti-slip flooring consists of special anti-slip sheets that can be applied to existing flooring to improve its slip resistance. It's an essential safety feature for industrial areas, walkways and stairs to help prevent injuries to staff and slip-related accidents. Safe Tread is the premier slip-resistant flooring from Sui Generis. It incorporates a quartz gritted surface – which means it remains slip resistant if liquids, ice or even oil is present. The addition of isophthalic polyester and vinyl ester resins ensure Safe Tread flooring won't corrode in even the harshest chemical environments, making it ideal for industrial areas. Slip-resistant products are available for floors, walkways and stairs and can be applied to almost any surface, making them an excellent alternative to replacement flooring. What kinds of surfaces need anti-slip flooring? Floors • Walkways • Platforms • Stairs • Stair noses • Driveways • Ramps. Why use Safetread flooring for your surfaces? 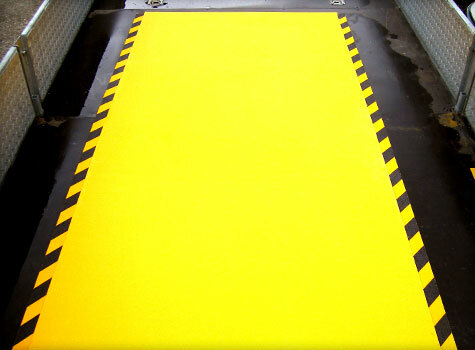 Because Safe Tread GRP Plates products are among the most slip-resistant available. 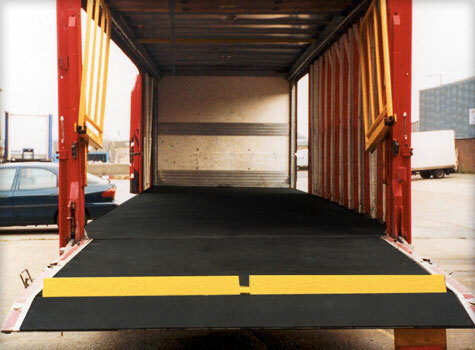 Manufactured with high quality, impact resistant fibreglass, Safe Tread GRP plate flooring will be just as effective for your vehicles as it is for your workers. 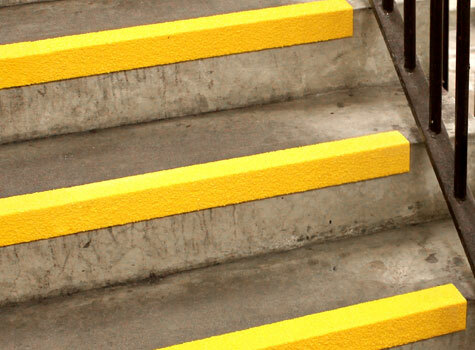 Our range of Safe Tread products includes easily-applied anti-slip covers for stair treads, as well as anti-slip nosings for stairs – both of which can be applied with minimum disruption. 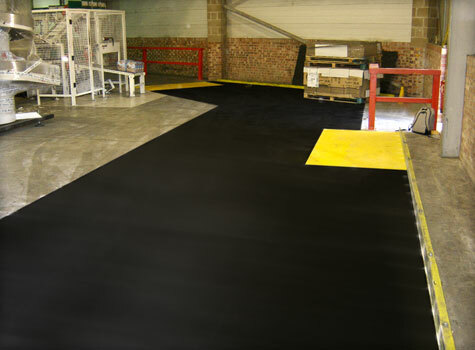 All our anti-slip products are also safe, durable and corrosion resistant – giving you long lasting peace of mind. Are there other benefits to Safetread flooring? 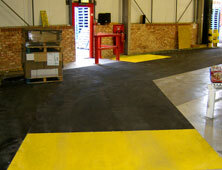 Does your Safetread flooring conform to regulations? Yes. 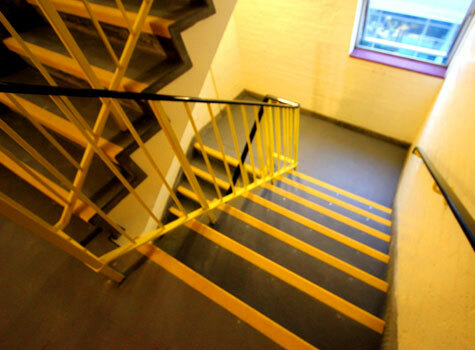 Our Safetread products fulfil all the requirements laid out in the UK Building Regulations (May 2004) and are Disability Discrimination Act (DDA) compliant. 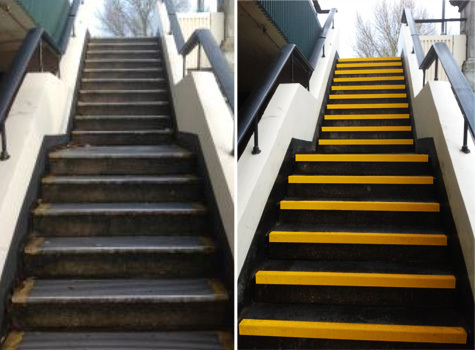 Both the heavy- and light-duty grip grades of our Safetread products also surpass the minimum requirements for achieving the 'extremely low potential for slip' rating as defined by the UK Slip Resistance Group Guide 2000. Ask us for more details – we can tell you everything you need to know on how anti-slip flooring can improve the safety of your surfaces. Can you give me advice about anti-slip flooring? We'd be happy to help you get high-grade anti-slip flooring for your floors, stairs and walkways. Just call us on 01206 798 798 and book your free site inspection. Our flooring experts will give you all the information you need to ensure the safety of your surfaces for both people and vehicles. 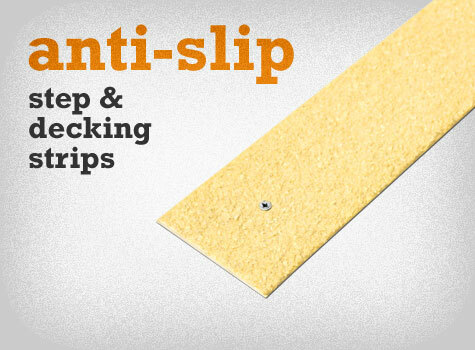 Anti-slip products can be applied to nearly any existing substrate and are quick and easy to install. An installation service is also available. The floor we work on usually has a wet surface. We use hoses to wash down enclosures along with slippery disinfectants, installing the anti-slip floor sheets has greatly improved the area and made the working environment much safer." "Sui Generis did a great job; their Safetread flooring is very durable and long lasting. Thanks to the flooring's fibreglass gritted flat sheets it will create safe pathways for many years to come. Working with Sui Generis was very easy from the point or order through to delivery; we would be very happy to recommend them." "Excellent service and price, previously used Watco but never again after getting excellent service and price from Sui Generis." "Haydn dealt with my enquiry on first contact and when I rang back to place the order he had the info straight away and remembered me two weeks later, thanks." "The level of service from all concerned is excellent in so much they return calls as promised and the promises given in respect of deliveries, happen." "Haydn always responds to quote requests immediately and is never phased about price and delivery. After sales acknowledgment and delivery is always good and on time." "Excellent customer service, keep it up."